From time immemorial, cunning bankers and accountants have devised structures to shield their wealthy clients from paying taxes. This practice was turned into a science in the money laundering capital of the world, London. With its many offshore tax-free havens and opaque reporting requirements, London rolls out the red carpet for drug dealers, warlords, terrorists, and despots alike. Around 2003, the city’s bankers birthed a bold structure to offer high-profile clients the best of both worlds – tax avoidance combined with the ego boosting ability to invest in blockbusters films. However, the Crown eventually caught on to these blatant avoidance schemes and pursued legal action against investors and bankers who spawned them. A group of 293 investors are suing Barclays and Bank of Ireland for film financing structures under the Eclipse 35 Fund for £180 million. Likewise, HSBC Private Bank is being sued for £150 million by over 400 investors in connection with a scheme that claimed to invest money in Disney films for tax benefits. HSBC were involved in concocting the scheme, while Barclays and Bank of Ireland provided loans to investors designed to shield £2.2. billion in taxes. These tax avoidance investment schemes aimed to take advantage of legislation designed to promote the UK film industry ushered in by the Enterprise Investment Scheme (EIS) in 1994. The government’s position is that the EIS was designed for investment in high-growth, high-risk startups and small to medium enterprises, not as a mechanism for tax avoidance and capital preservation. READ MORE: The End of Easy Money in the U.K.
After the UKSC ruled that the investment vehicles were merely tax avoidance schemes, investors are now liable for taxes, penalties and interest. In some instances, the total liability can amount to at least ten times the initial capital investment. HSBC Private Bank is being sued for £150m by over 400 investors in connection with a film financing scheme that claimed to invest money in Disney blockbusters for tax benefits. The investment scheme promoted by HSBC offered investors a deferral of tax in exchange for investing in film rights to Disney blockbusters including the second and third sequels to the Pirates of the Caribbean. Not only were these structures crafted to avoid taxes, but also they might have been completely fraudulent since the investors didn’t acquire rights in the films. Lawyers at Edwin Coe that are representing over 400 investors against HSBC, state that the distribution rights to the films in questions were never acquired, contrary to numerous representations made in the partnership’s marketing material. The case against HSBC expects to go to trial sometime in 2020 or 2021. Related to the HSBC case, are a group of 293 investors suing Barclays and Bank of Ireland for film financing structures designed to avoid taxes under the Eclipse 35 Fund for £180 million. The law firm Edwin Coe is also representing these investors. Lawyers say that what we have seen so far is the tip of the iceberg. Adding that it was not possible to predict the possible aggregate impact of the litigation, but said it could be significant. All told, Barclays, HSBC and Bank of Ireland could face a tax bill up to £11 billion for their role in these avoidance schemes. After numerous actions by the government and now private litigation, funds previously available to film and television production companies in the U.K. through the Enterprise Investment Scheme (EIS) and other tax structures are likely to reduce significantly. 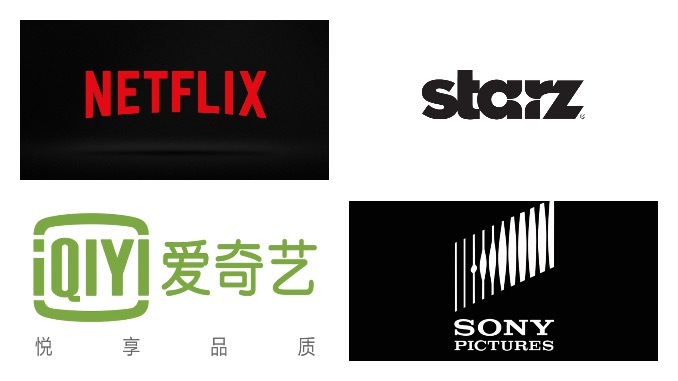 However, while the government is trying to reduce the use of the EIS for tax avoidance purposes, it recognizes that presales, tax credits, and other pre-contracted funds contributing to a film’s budget, may still qualify for EIS treatment. Updated on April 16 2019 to remove a section about Ingenious Media. A summary about the history of litigation regarding EIS can be read in: The End of Easy Money.